Today we went to Tokyo Mart to try and pick up some Bento Boxes but sadly they were sold out :( So we took ourselves off to Ryo Tei's for some oishii ramen! 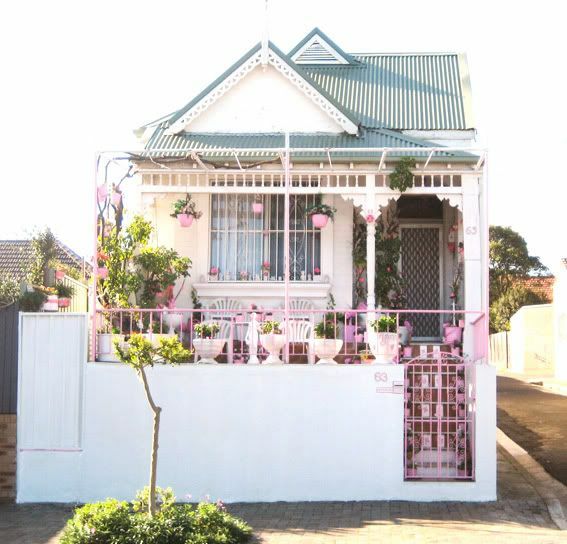 Anyway, driving around today we saw this super cute pink house! How cute is it~?! I just had to show you! I want to move in! I am getting ready for a night with my dear friend Gracie and my Hanayama Digital Bingo machine and Hello Kitty bingo cards! What are you up to this weekend?